Zsolt Csenger-Zalán is a businessman and politician. 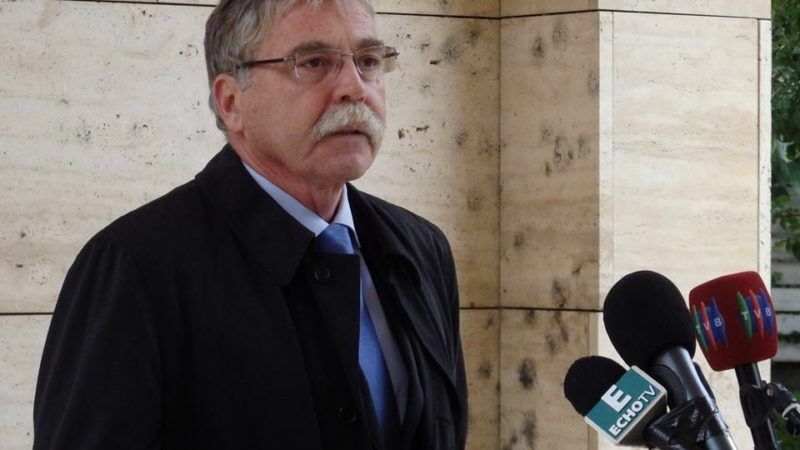 He represents Budaörs in Hungary’s parliament, and is a member of Prime Minister Viktor Orbán’s right-wing governing party. Csenger-Zalán was interviewed by EURACTIV.cz’s Aneta Zachová. The relationship between Budapest and Brussels seems a bit tense right now for a number of reasons, such as the dispute over migration, and the new law focused on universities and NGOs with foreign income. 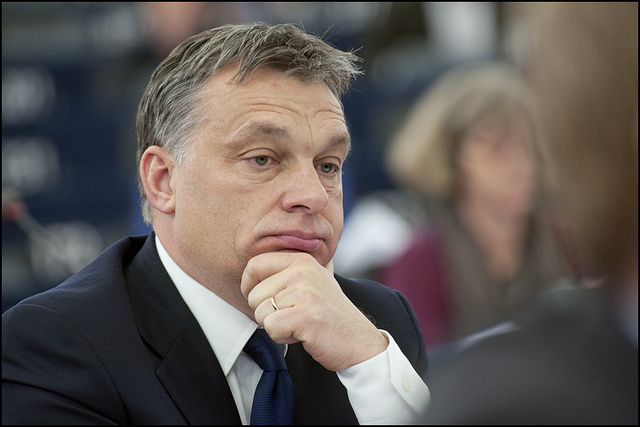 What is Hungary’s future in the EU? At first, it is very important to say that Hungarian people are absolutely committed to being a part of the European Union. I am aware that in Western media you can see an image of Hungary as anti-European country, but we are only critical of the functioning of the European institutions today. The European Union needs reform. What are the main negatives of the European institutions? We have a problem with Brussels bureaucracy. Unfortunately the European Commission proposes a lot of useless legislation and disturbs the sovereignty of the member states. Moreover, the Commission is pursuing its own policy, but it shouldn’t. That’s why we have to stop this practice. What should the future functioning of the EU look like? We have to change the mechanism of decision-making and take some steps back to the original treaties. That’s how we can stabilise the EU. We definitely want a strong Europe, but a strong Europe is only possible with strong nations and alliances. I can imagine that some (national) groups will create a special agreement to start deeper cooperation in specific areas. 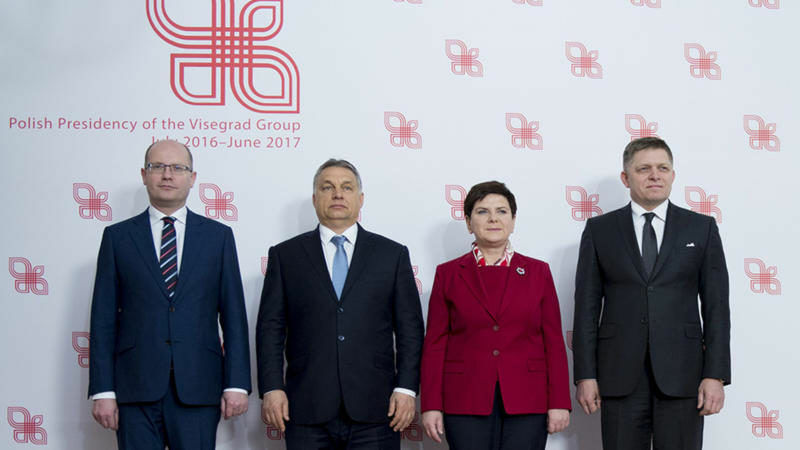 Is the Visegrád Group a good example for cooperation within the EU? Yes. I think that the Visegrád is nowadays stronger than ever before. We agree on the need for the EU but also national sovereignty is a priority for us. We can agree on something, but it is not binding for the other member states of the EU, and at the same time our cooperation does not damage countries that are not in our group. Integration cannot be forced and the V4 is an example (of how) it works. Now we face common European challenges together, especially in the matter of migration. This topic united our countries. But Visegrád is often thought of in Brussels as a group of countries that refuses almost everything. Is it harder now for the V4 to get its own way? The V4 is a big group with more than 60 million inhabitants. It’s an important part of the European population – more than 10%. Our market is huge and we opened it to other member states. Our voice should be definitely heard in Brussels. Deeper and voluntary integration between willing member states is also mentioned in connection with the concept of a multi-speed Europe. What do you think about this scenario for the future of the EU? Multi-speed Europe is something different than I mentioned before. It is an idea of the core nations with high power on one side and then the others on the periphery. But what if core nations decide on something that is not so good for the periphery? What if they decide to limit free movement? It is absolutely not acceptable. And which alternative is acceptable to Hungary? The EU was a good project and its basics should remain. It means free movement of people, capital, goods and labour forces as well as the Schengen area with opened internal borders. On the other hand, the EU should avoid plans such as a tax union. We are against this idea. Our currency is an important tool. But the most crucial issue is forced relocation and it also led us to take legal action against EU. Is any compromise on relocation, such as financial contributions, instead of transfers of refugees, acceptable for Hungary? Absolutely not. In 2015 there were documented 1.6 million illegal migrants. The relocation plan deals with 160,000; it means 10 % of those people. Until now there were relocated only 18,000 migrants from Greece and Italy. It means 1%. We shouldn’t follow a plan that doesn’t work. So, what is the best solution? What to do with all the people in Greece and Italy? It is not a good think to import the problem to the Europe, so we should bring help where the need is. Migrants and refugees are coming to the EU and most of them will be unlucky there. It is huge challenge to integrate them. Not only for our society, but also for them. It is not easy to live in Europe as a minority group and its better for both to push them back. Otherwise thousands of people will disappear in EU without any control and they might become dangerous. Can we conclude that migration is the key topic for the future of the EU? Migration is the biggest topic for the whole of Europe and its future development. There is not only war in Syria but there are also problems in Africa. Another rising issue is migration from Bangladesh. But Europe cannot accept all those people. Migration can destroy us. And then neither we, nor migrants, would have a future. So what does he think should be the proper response; line up the soldiers, mount the bayonets, and drive them back into the sea? The EU has no legal capacity to stop the refugee flow, just like the US could not stop the millions crossing their border! Hungary needs to consider properly what it means to be part of the EU; you cannot have it both ways, in and out; just stick with the V4 and accept a two-speed Europe!